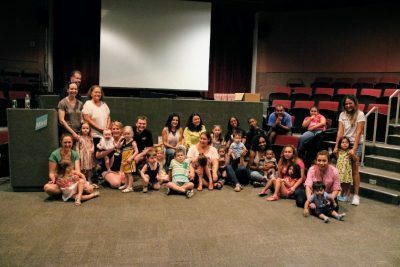 Bilingual Stories & Music is a program for children (ages 0-6) and their families, held on once a month on Saturday mornings at the Mint Museum Randolph. For this program, performers use a combination of bilingual stories (Spanish/English), music, musical instruments, toys, puppets, and games to interact with the audience. This program was created to reach out to Latin-American families living in the U.S. whose children are growing up bilingual. However, at the present, the program has attracted non-Hispanic families as well who see the importance of their children being exposed to the Spanish language and to Latin culture. The Mint Museum supports this program reaching out quarterly to the Latin-American community, bilingual preschools, libraries, and community centers.